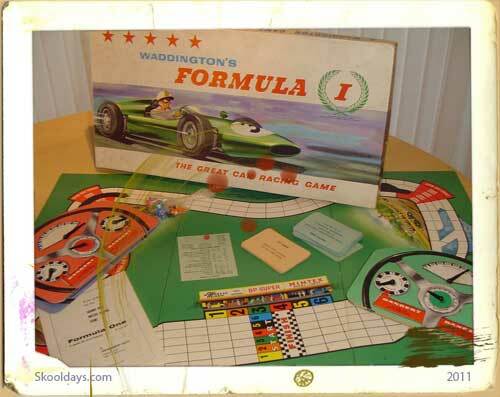 Formula 1 board game by Waddingtons was a game all about skill and very little luck. 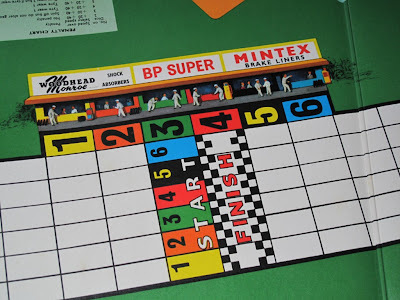 Most young racing fans have probably played this at some point and with some particular version. 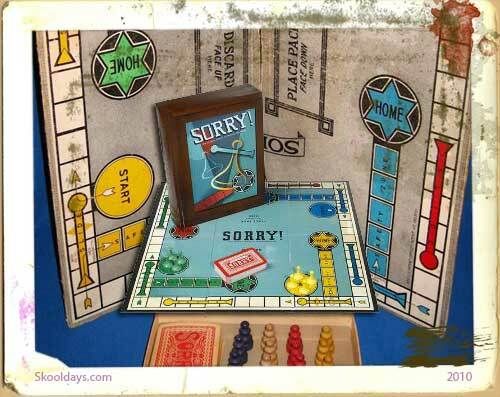 As Formula one technically changes in life from year to year the Formula one board game tried its hardest to keep up with these changes. thus several additions appeared over the years. 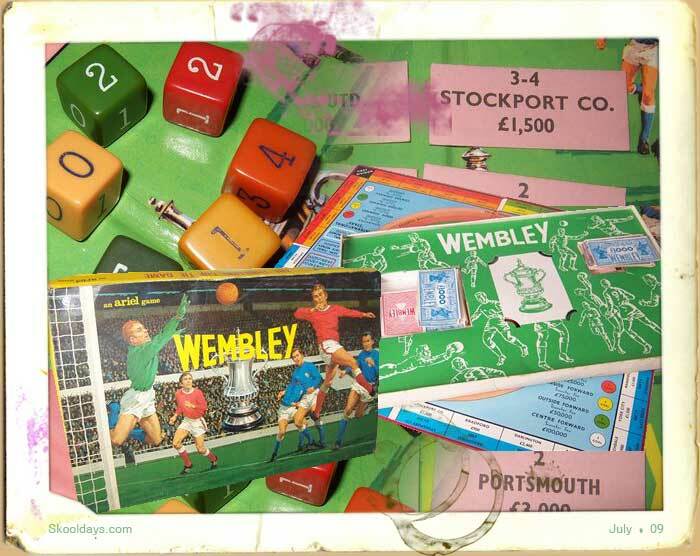 The Formula one racing game was devised for 2 to 6 players – actually it really was best with 4 or more, if i played with 2, then we would have a team of two cars. 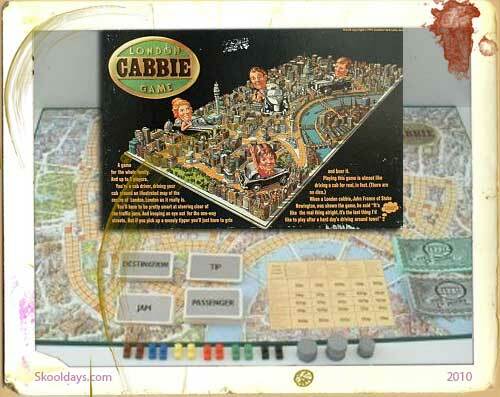 The players use “dashboards”, cardboard cutouts resembling dashboards, complete with a speedometer and tire and brake wear gauges. Maximum acceleration is fixed, tire and brake wear may happen as a result of cornering too quickly – this was excellent as that is exactly how racing works in the real world. also there are the dreaded spin outs. A few tight spots exist, so blocking is also an effective tactic. Tactic cards (you get 5 for the entire race) put a few aces up your sleeve. They can give you an extra burst of speed or of cornering ability. Pit stops will get you fresh brakes and tires but you must reach them by exact count otherwise you’re forced into another lap. Also, pit cards throw a monkey wrench in, usually you’ll lose a turn, but now and then you’ll get extra fast service, a burst of speed in coming out of the pit or special brakes good for one extra corner. The race runs for up to 10 laps; the player furthest past the finish line when all players have had the same number of turns wins. 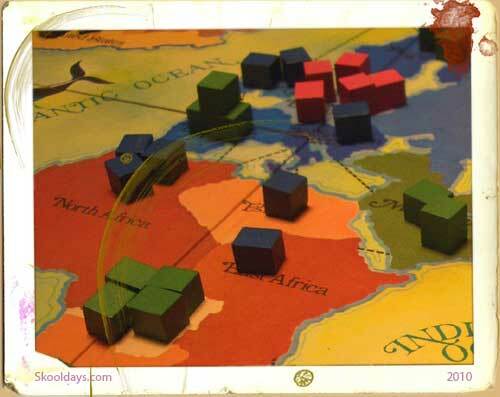 The board game’s simplicity and lack of lucky dice makes it an enjoyable game for adults. 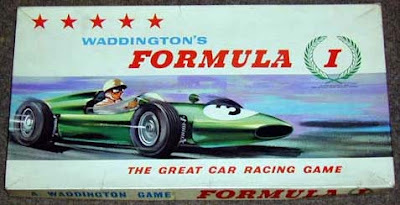 Formula One an action packed motor racing board game for 2 to 6 players.. (Original Waddinton Game)….You have two laps to go in a tense race,just out in front as you go into a tight left hand bend.You’re travelling at 120 m.p.h.,40 m.p.h. above the recommended maximum speed for that curve.You have a decision to make-brake sharply and cause wear and tear on your tyres and brakes,or continue at the same speed and hope that you will not spin off and lose the lead. If you are the aggressive driver who approches corners at excessive speeds braking violently with a screech of tyres,you will be forced into frequent time-consuming pit stops.On the other hand,the careful driver cornering at the recommended speeds will incur no time penalties.But nobody wins races by being over-cautious! Each player has complete control over the accaleration and deceleration of his car;and his speed,together with the state of tyre and brake wear,is recorded on his personal dashboard. All the thrills and spills of Formular One Motor Racing are re-created with dynamic realism as drivers baulk each other to fight for the lead……………. 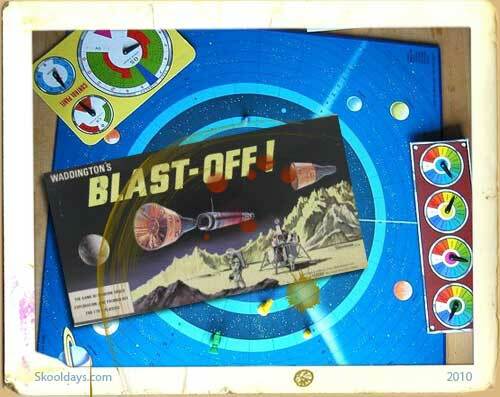 This entry was posted in Toys and tagged 1960, 1970, 1980 by Skooldays. Bookmark the permalink. They change to Spin Out. 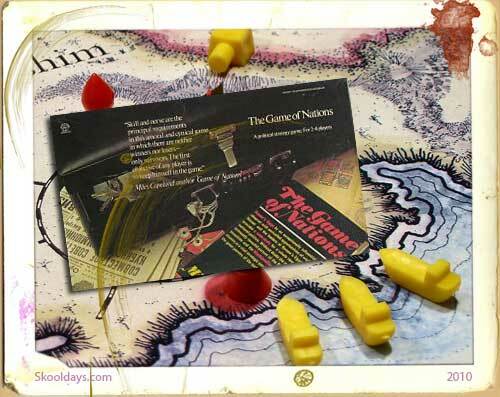 Thanks Thomas – i dint realise it had a name change to spin out – is it still around as Spin Out?